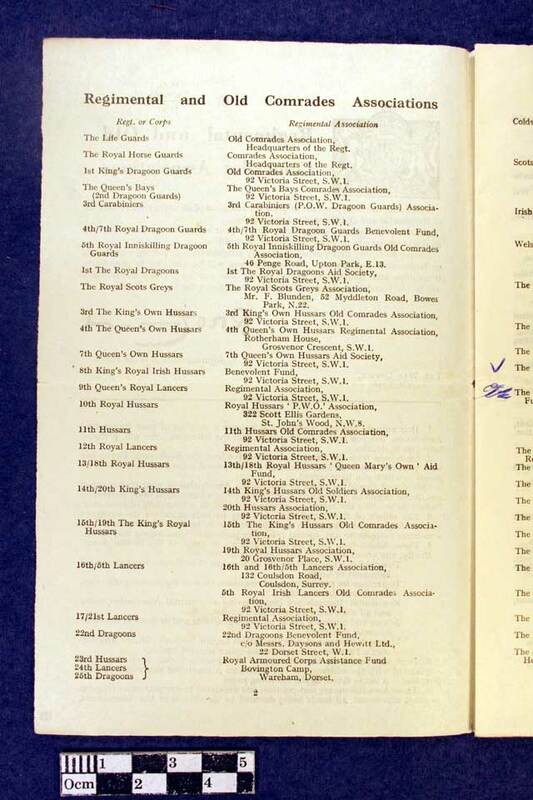 King's Own Royal Regiment, 1945-47. 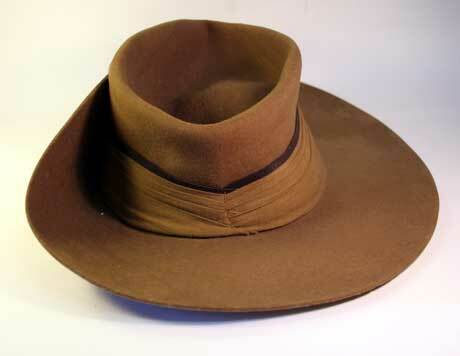 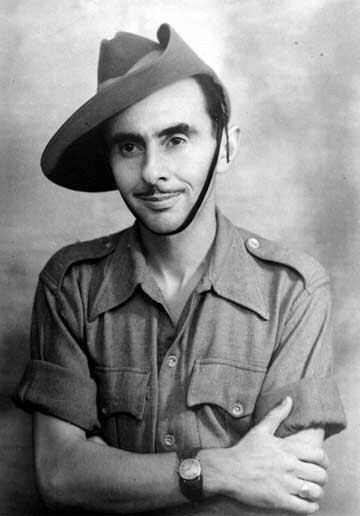 Bush hat, with red patch and embroidered ‘King’s Own’ on the side, worn by Corporal Myer (Monty) Nathanson, number 14790925, of the 2nd Battalion, King’s Own Royal Regiment in India in 1944-47. 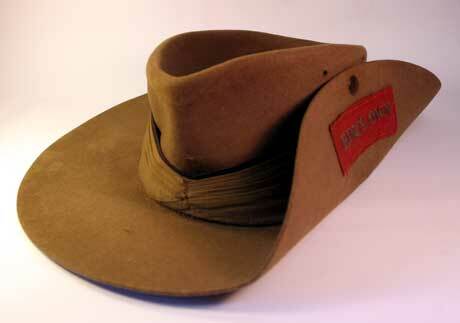 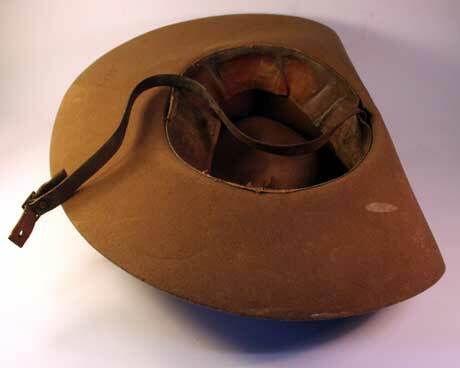 Field Service Cap, (side cap), with King’s Own lion cap badge, worn by Corporal Myer (Monty) Nathanson, number 14790925, of the 2nd Battalion, King’s Own Royal Regiment in India in 1944-47. 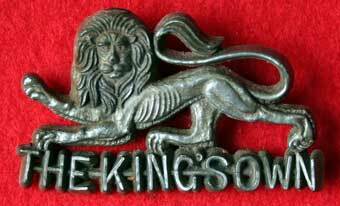 King’s Own Royal Regiment, cap badge, Plastic, war time economy type. 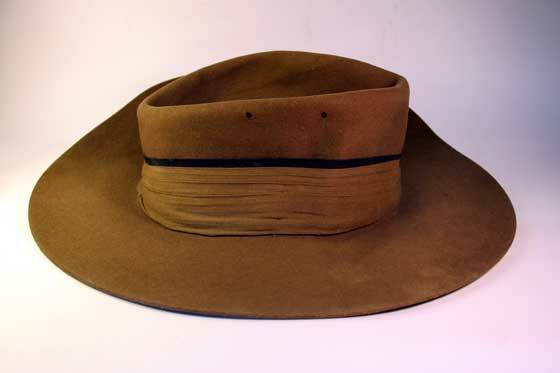 Worn by Corporal Myer (Monty) Nathanson, number 14790925, of the 2nd Battalion, King’s Own Royal Regiment in India in 1944-47. 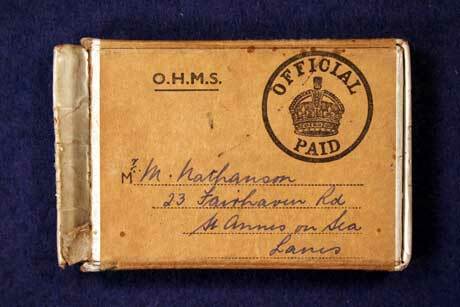 The back is stamped with the maker's initials "F&G" for Fraser & Glass. 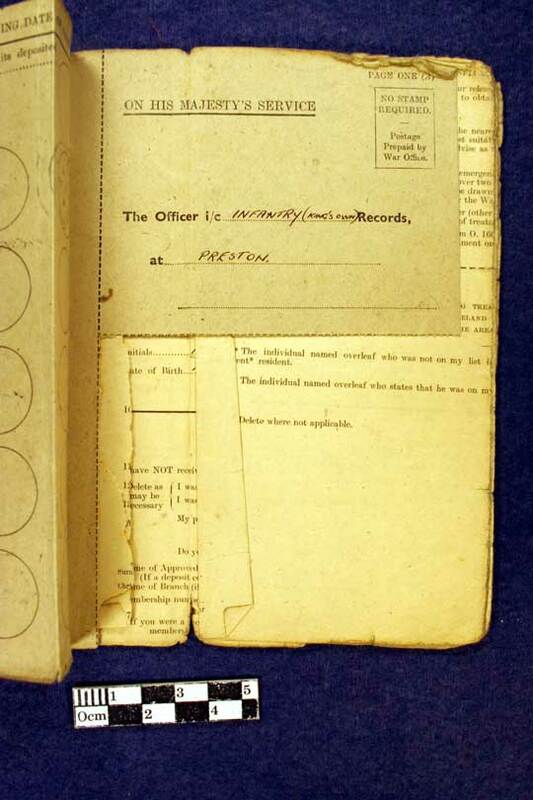 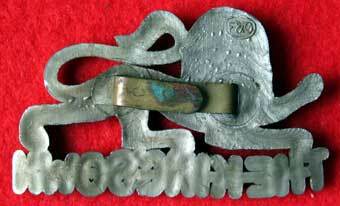 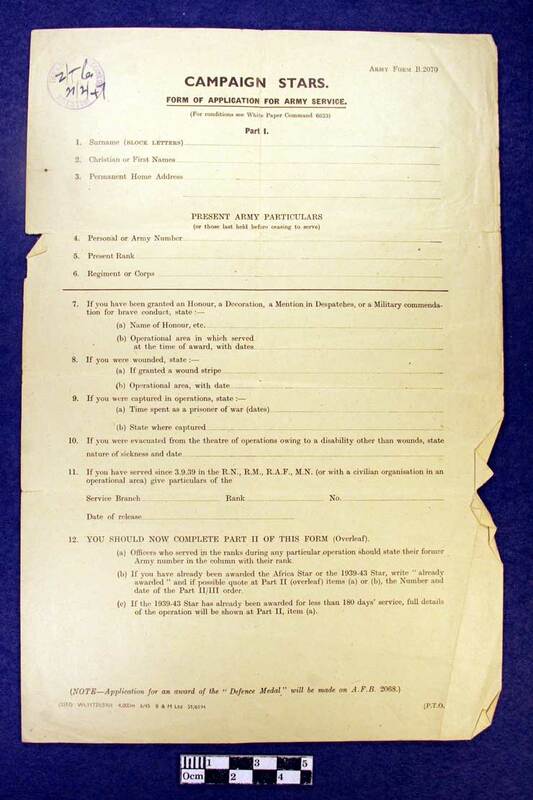 “The Partnership of William Petrie Fraser and James Glass who carried out a business as Metal Piercers and Stampers, Chain Makers and Metal Toy Manufacturers at 15 The Pavement, Middle-lane, Crouch End, Middlesex, under the style or firm of ‘Fraser & Glass’ has been dissolved by mutual consent as and from 21 Nov 1919.” From the London Gazette of 25 Nov 1919. 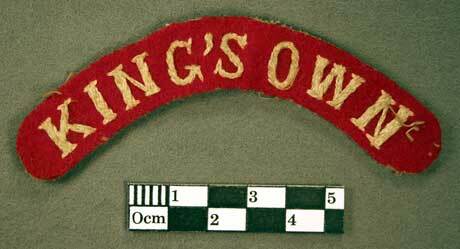 Embroidered ‘King’s Own’ white on red shoulder title, worn by Corporal Myer (Monty) Nathanson, number 14790925, of the 2nd Battalion, King’s Own Royal Regiment in India in 1944-47. 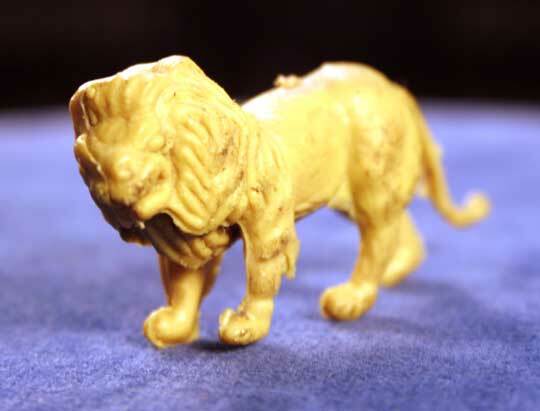 Small, yellow, plastic lion. 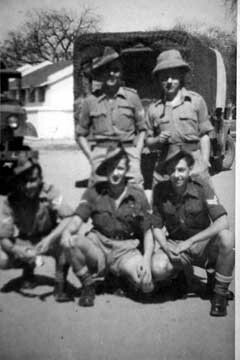 Owned by Corporal Myer (Monty) Nathanson, number 14790925, of the 2nd Battalion, King’s Own Royal Regiment in India in 1944-47. 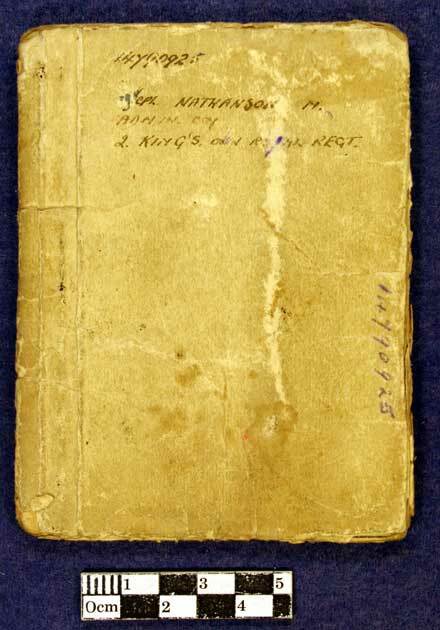 His daughter said he kept this lion for as long as she could remember, and he was not a man for trinkets and small possessions. 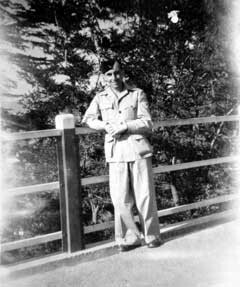 He only agreed that a photograph of him in his uniform was displayed in the house because his wife insisted. 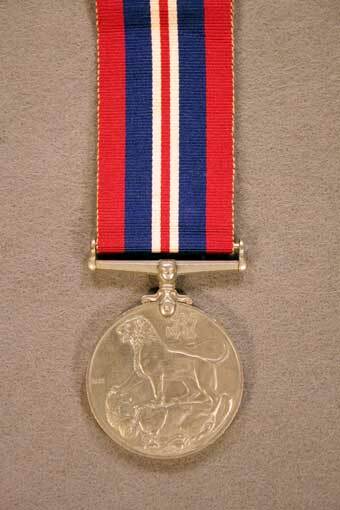 Origins of the lion are very unsure but it was very important to him, and he said it was the regimental lion. 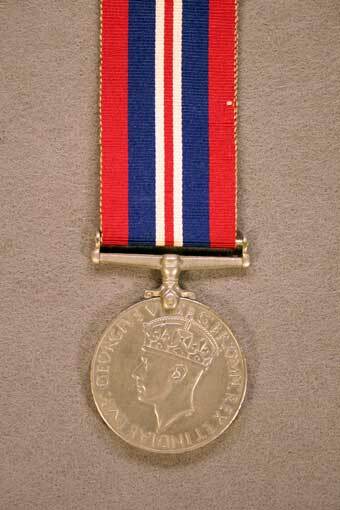 1939-45 War Medal to Corporal Myer (Monty) Nathanson, number 14790925, of the 2nd Battalion, King’s Own Royal Regiment in India in 1944-47. 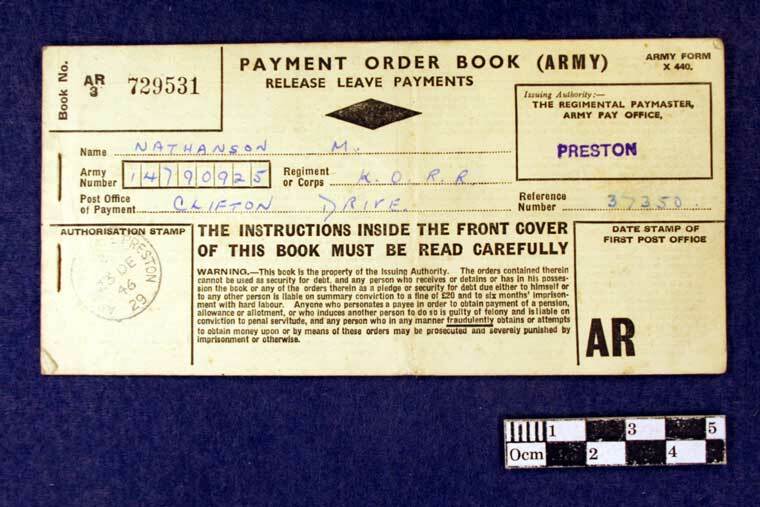 Box of issue for medal to Corporal Myer (Monty) Nathanson, number 14790925, of the 2nd Battalion, King’s Own Royal Regiment in India in 1944-47. 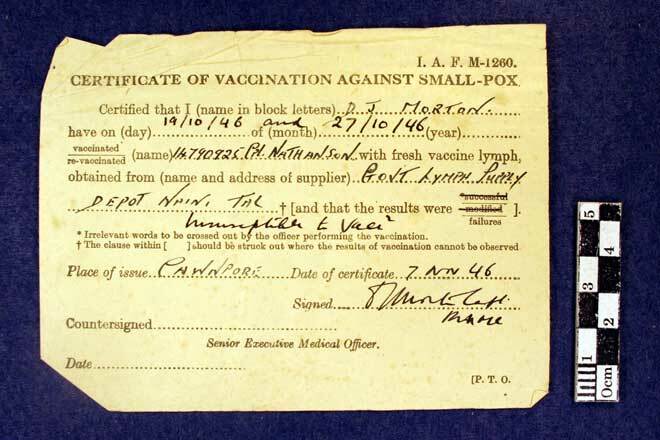 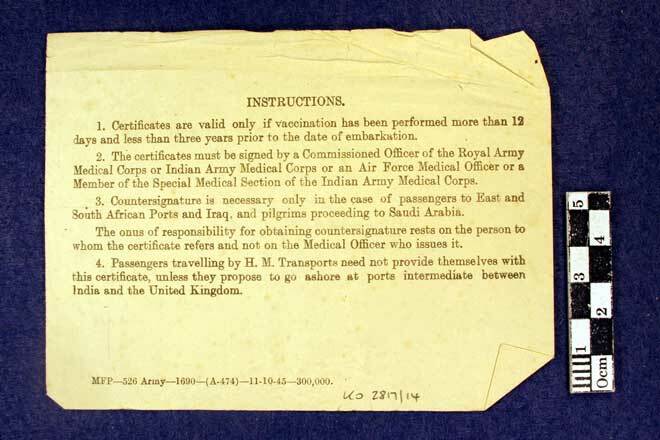 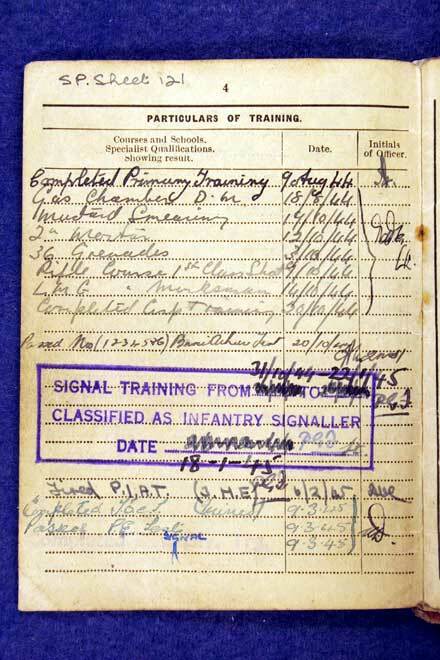 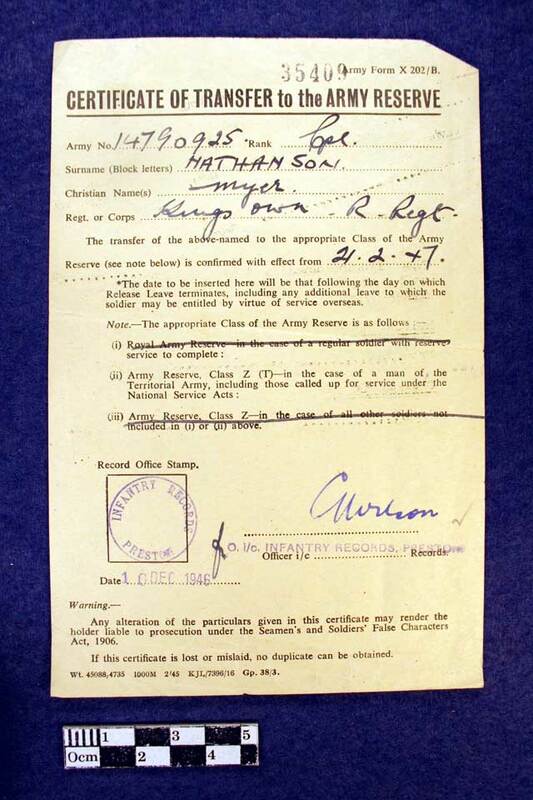 Certificate of issue for medals to Corporal Myer (Monty) Nathanson, number 14790925, of the 2nd Battalion, King’s Own Royal Regiment in India in 1944-47. 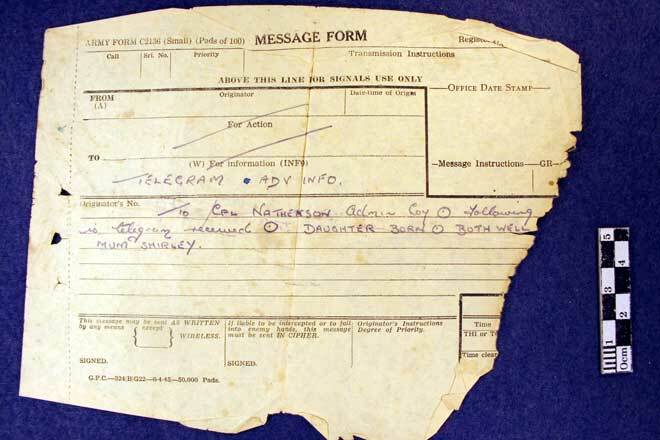 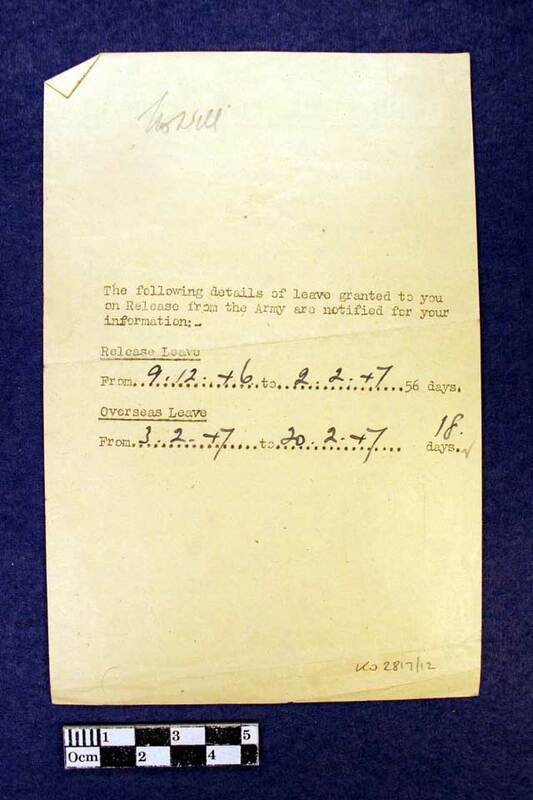 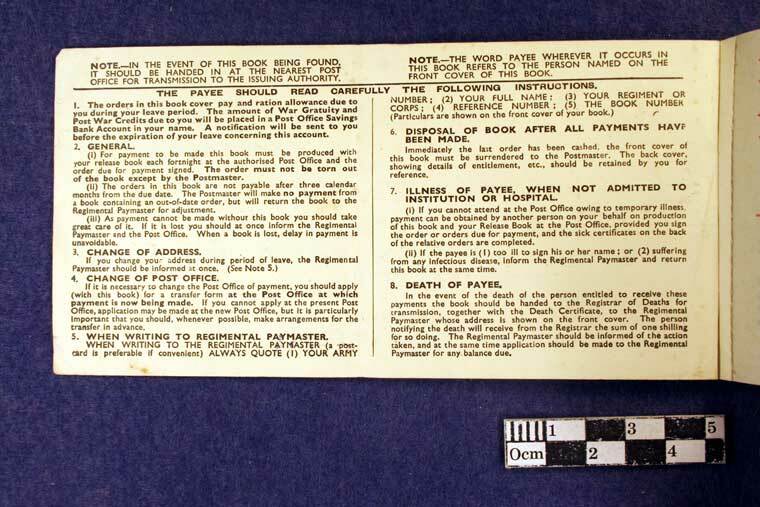 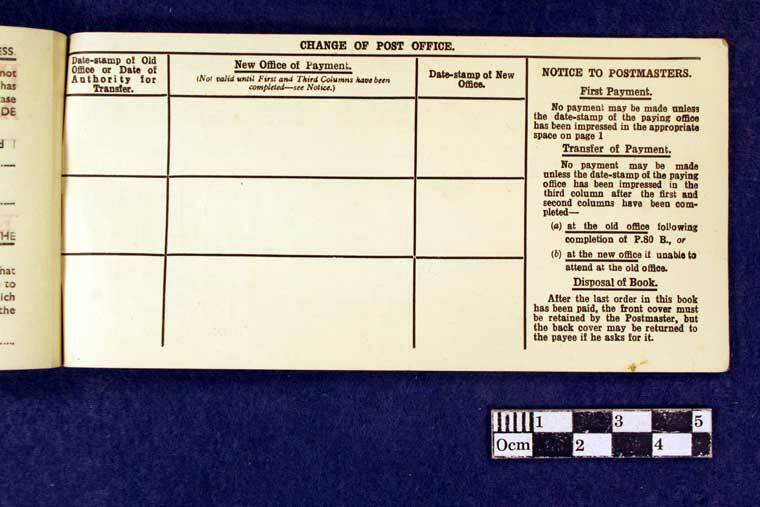 Telegram message form, to Corporal Nathanson, number 14790925, of the 2nd Battalion, King’s Own Royal Regiment, informing him of the birth of his daughter, 1945. 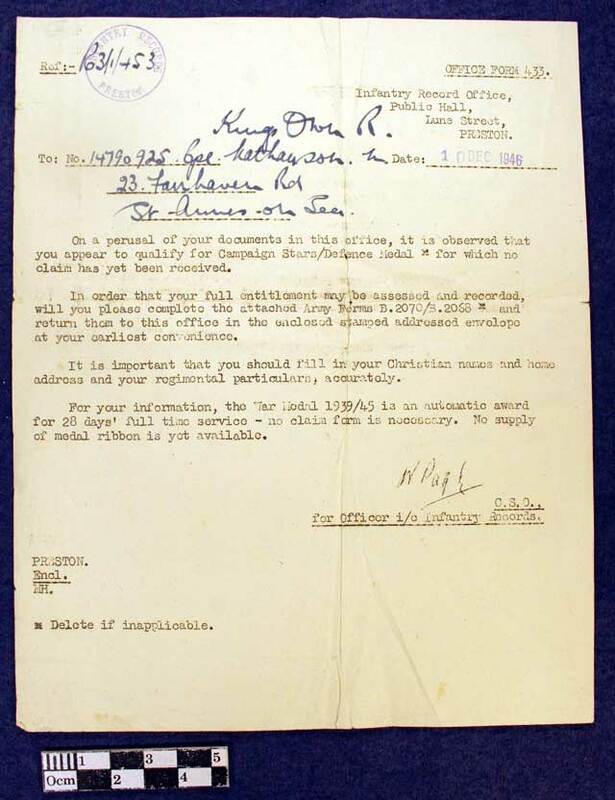 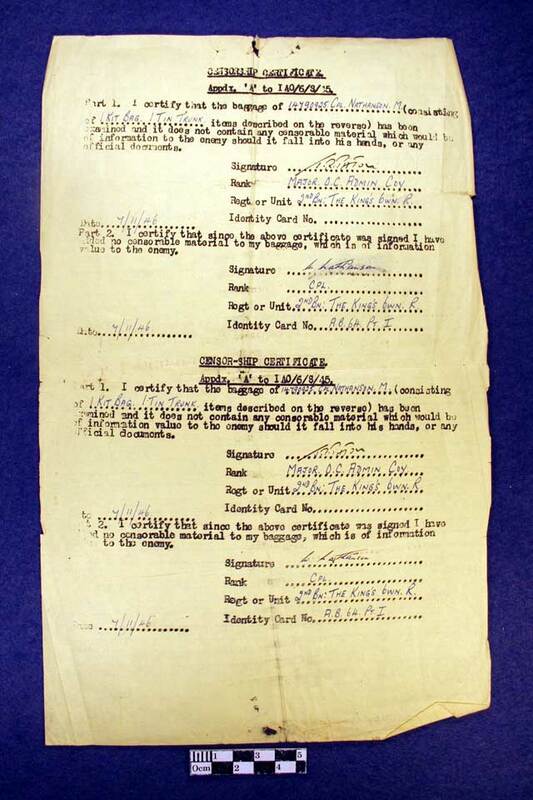 Censorship certificate for Corporal Nathanson, number 14790925, of the 2nd Battalion, King’s Own Royal Regiment singed by Major J R Paton, OC, Admin Coy, 2nd King’s Own. 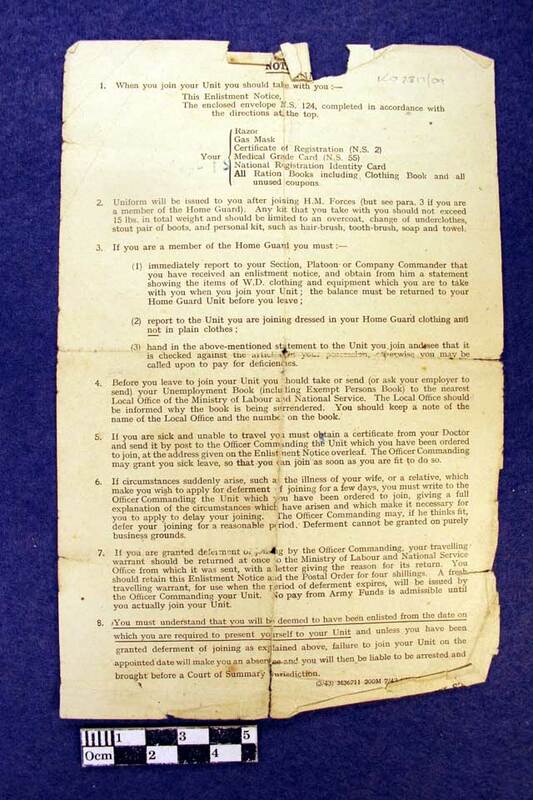 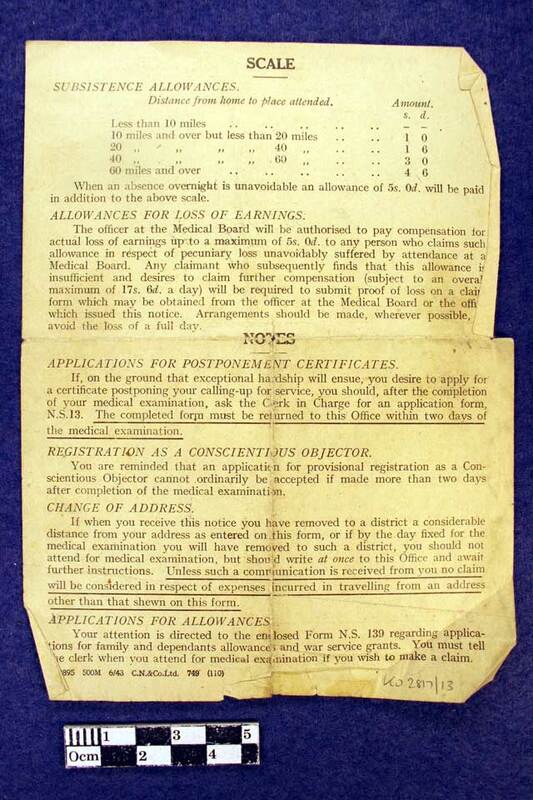 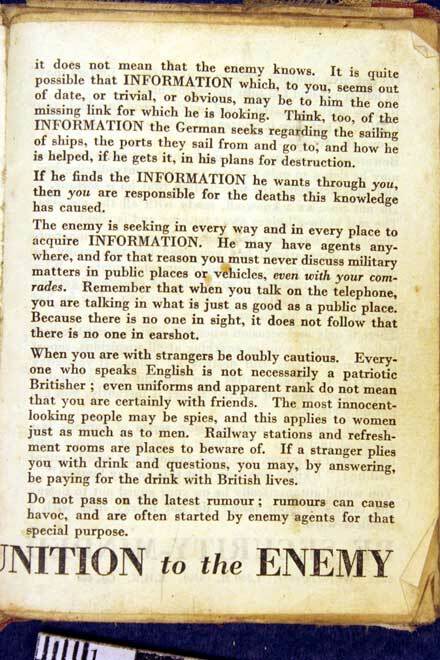 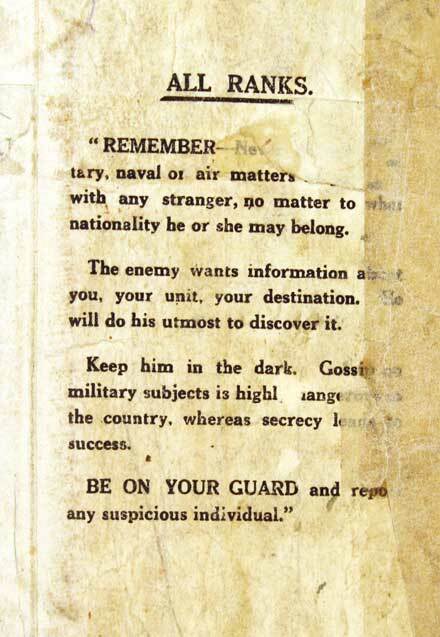 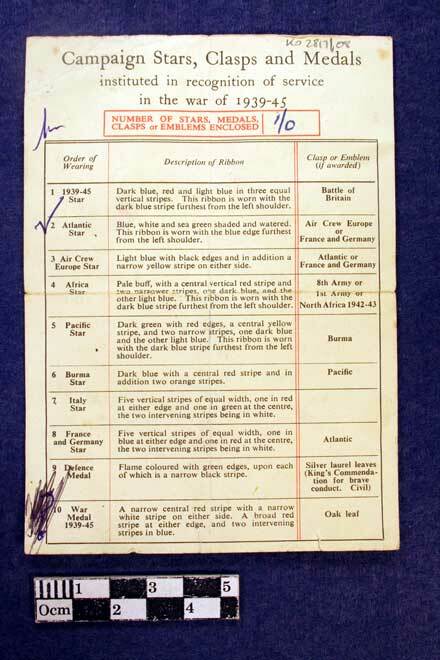 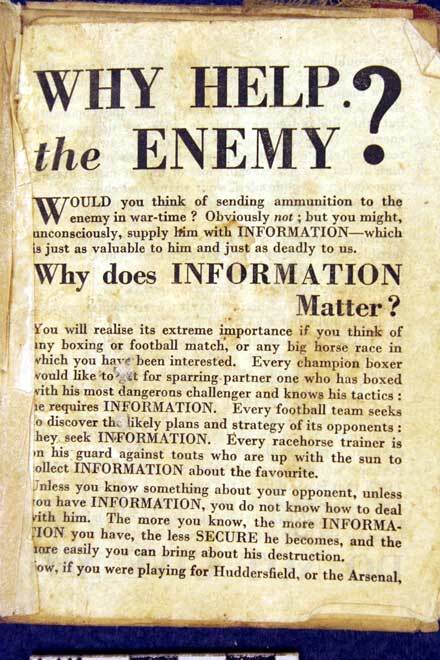 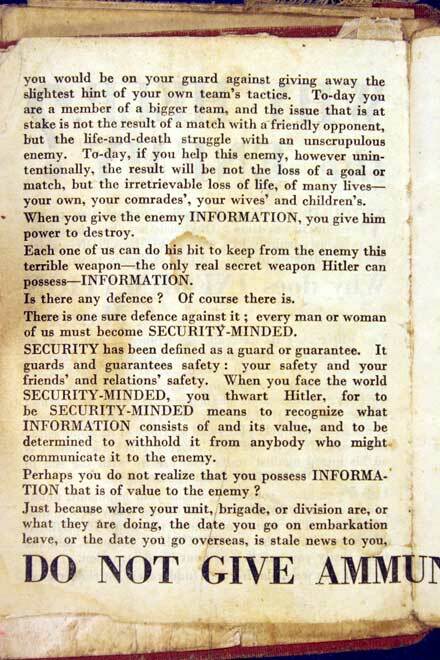 Dated 7 Nov 1946 relating to 1 kit bag and 1 tin trunk. 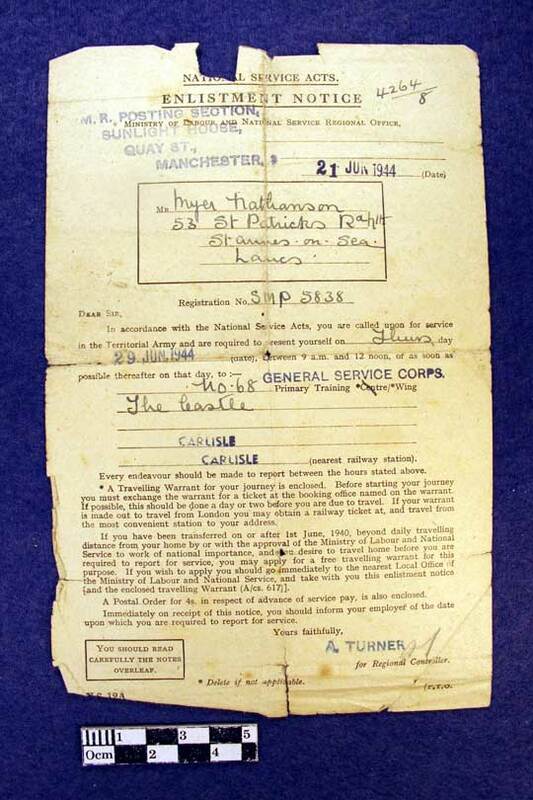 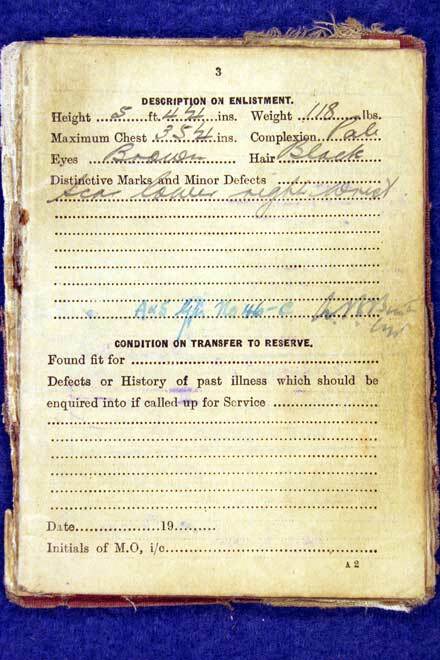 Corporal Nathanson then returned to England on board the Troopship Georgic. 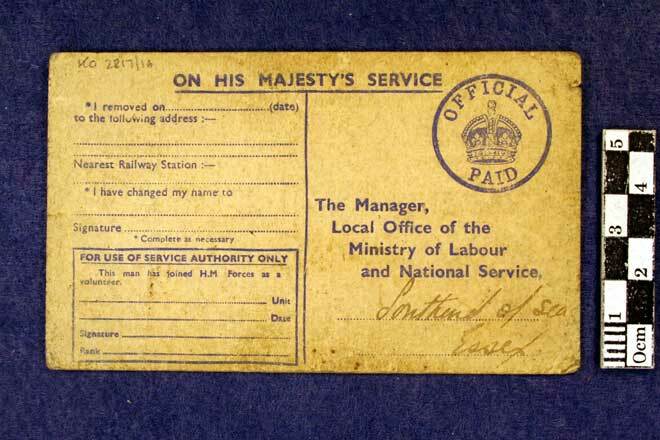 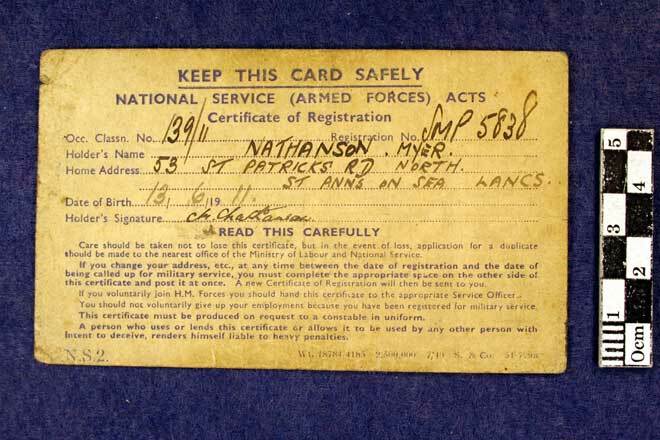 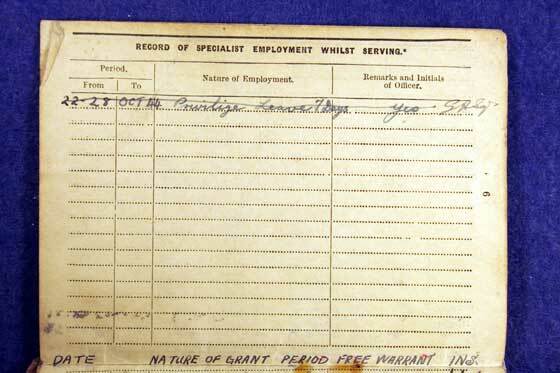 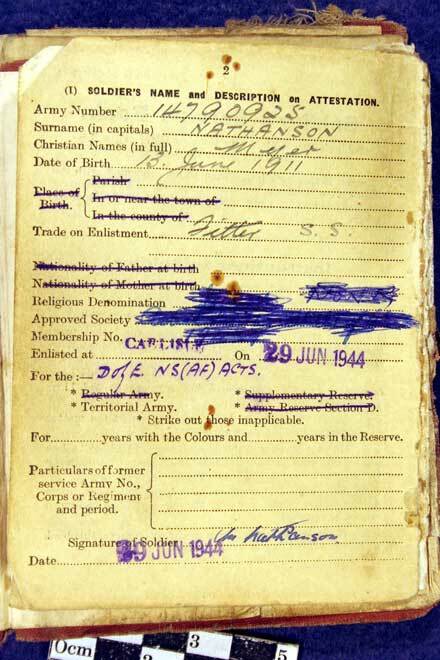 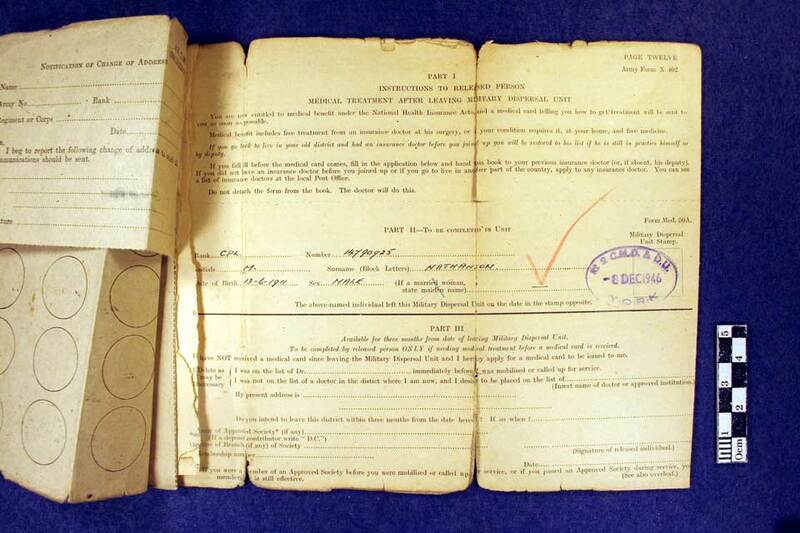 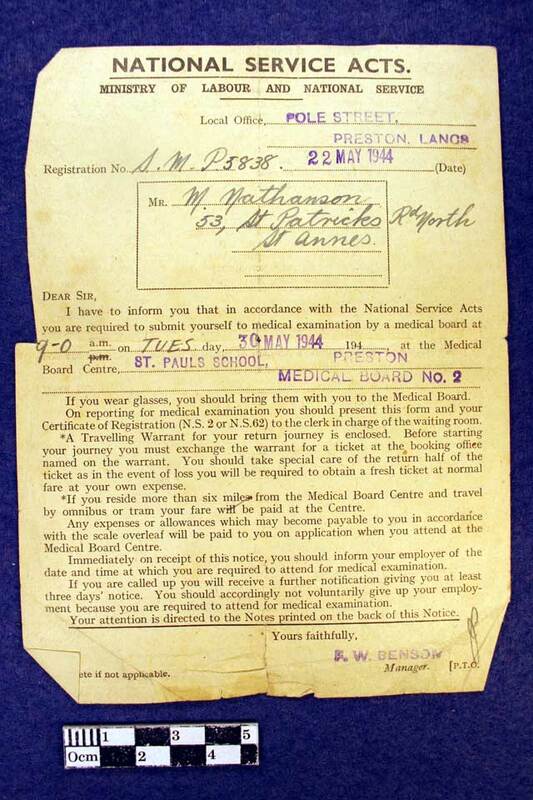 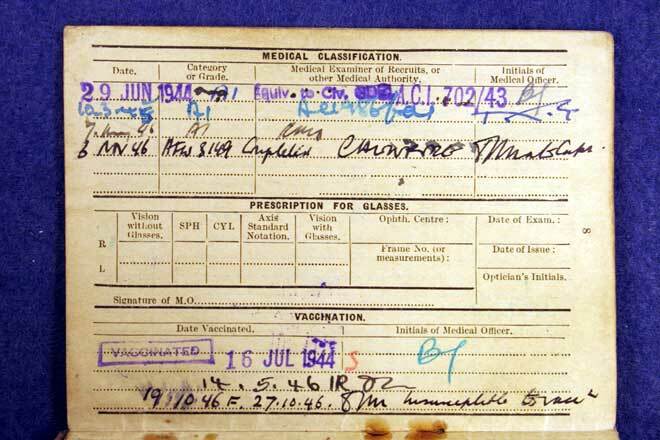 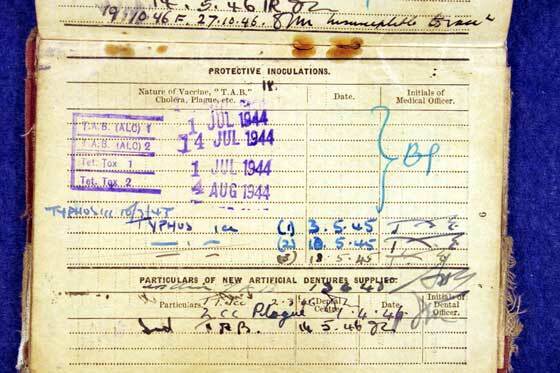 National Service (Armed Forces) Acts, Certificate of Registration to Myer Nathanson, date of birth 13 Jun 1911. 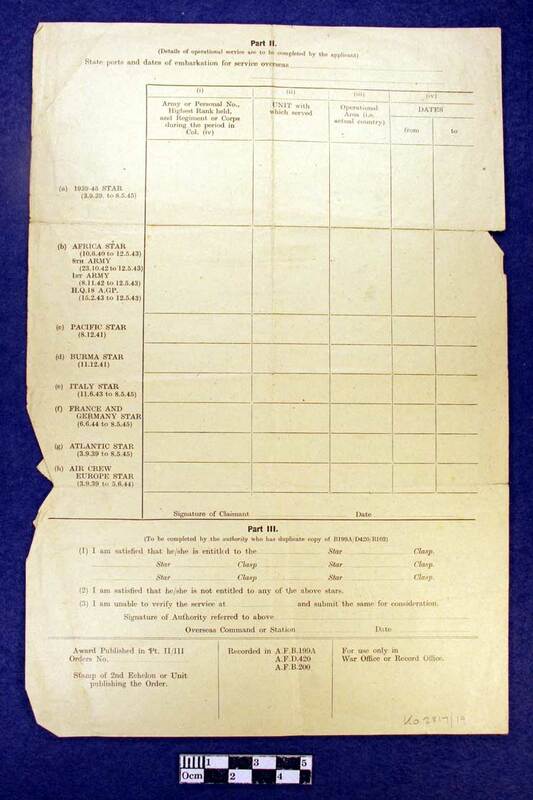 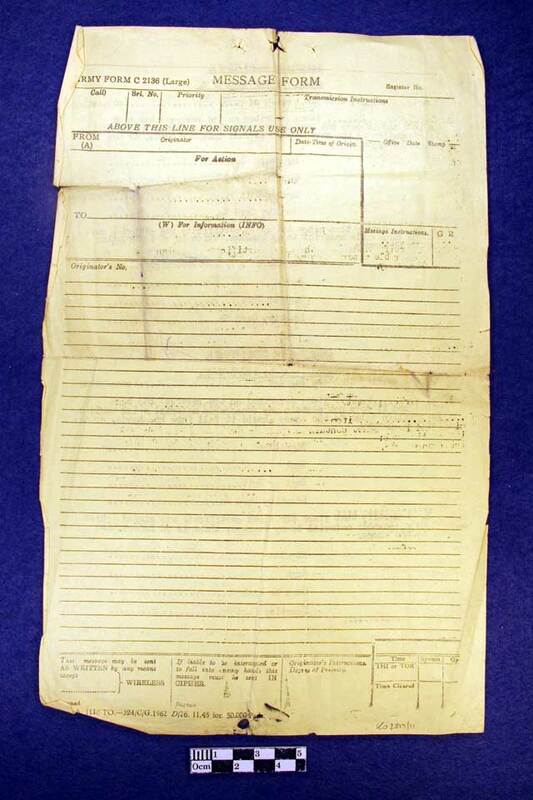 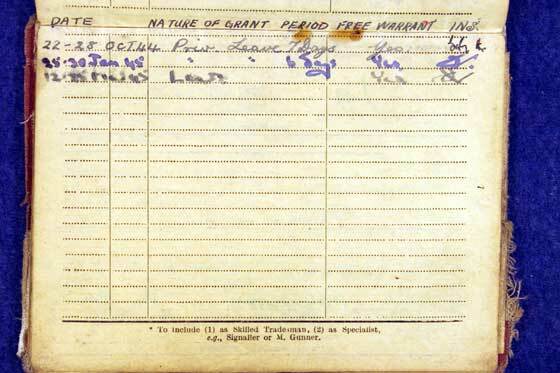 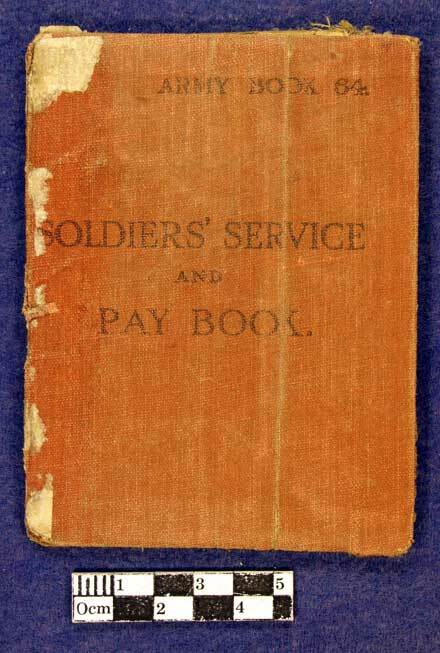 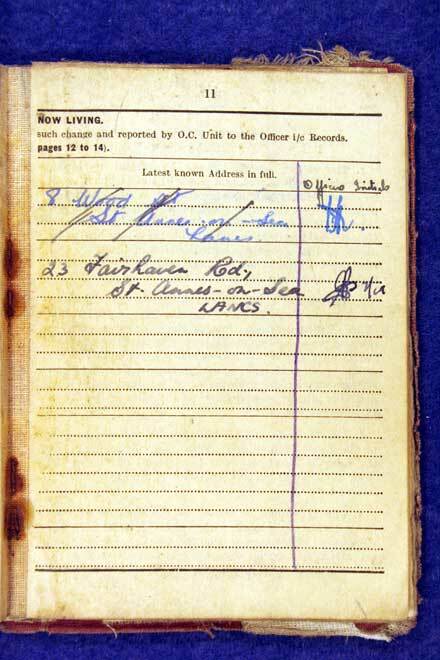 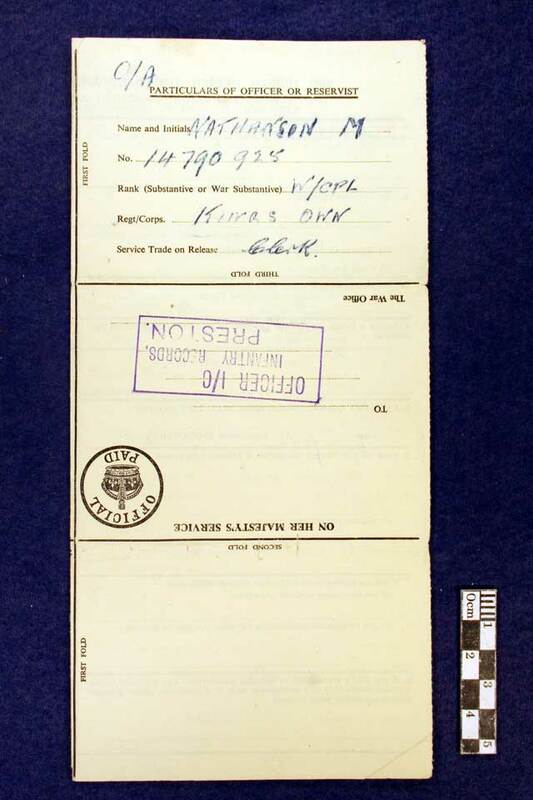 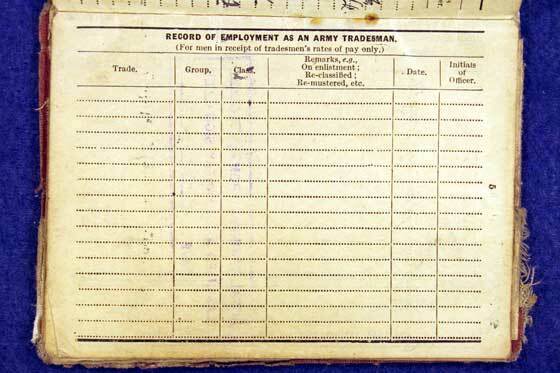 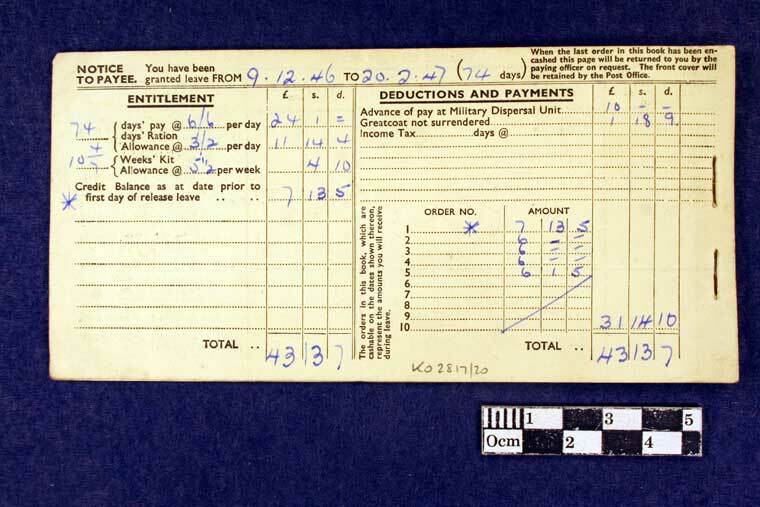 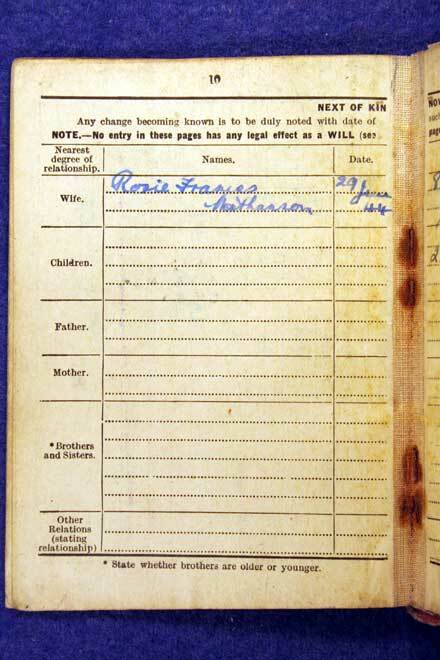 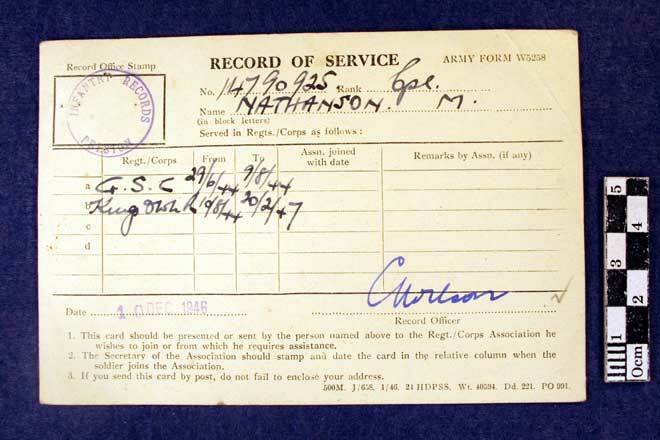 Record of Service (Army Form A5258) to Corporal Nathanson, number 14790925, of the 2nd Battalion, King’s Own Royal Regiment. 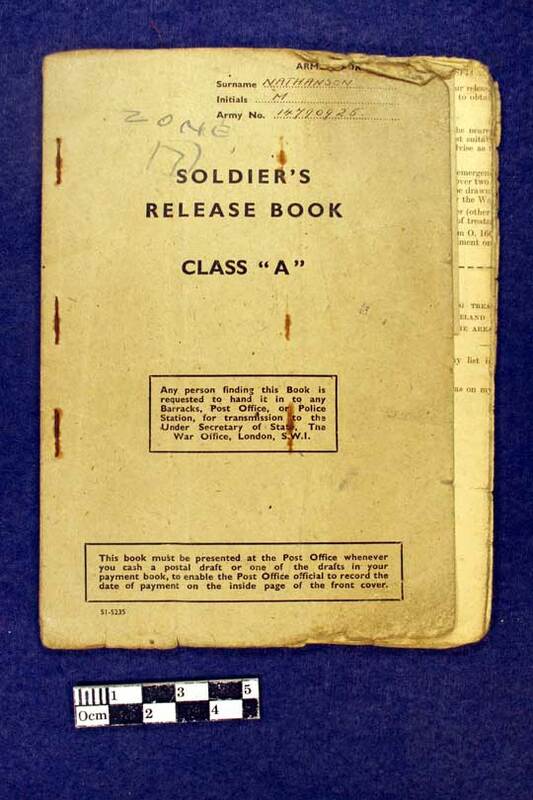 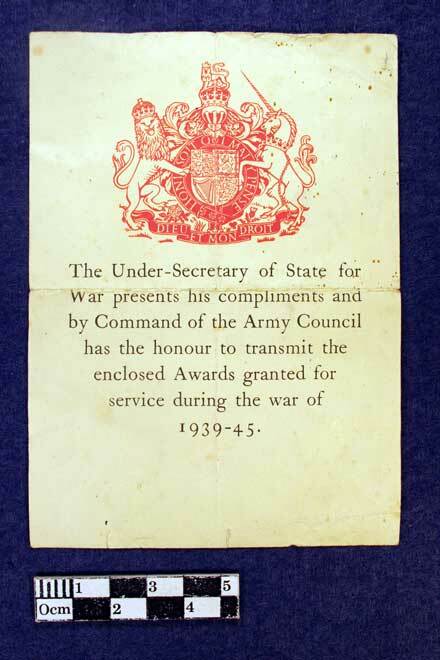 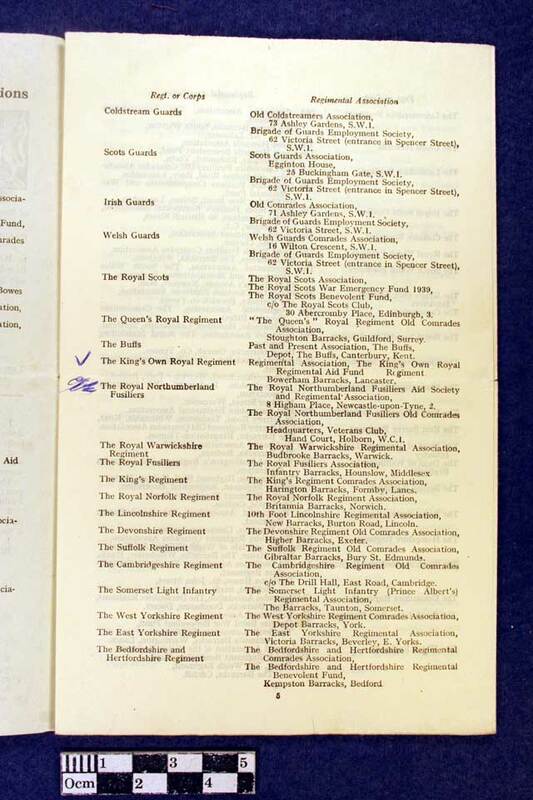 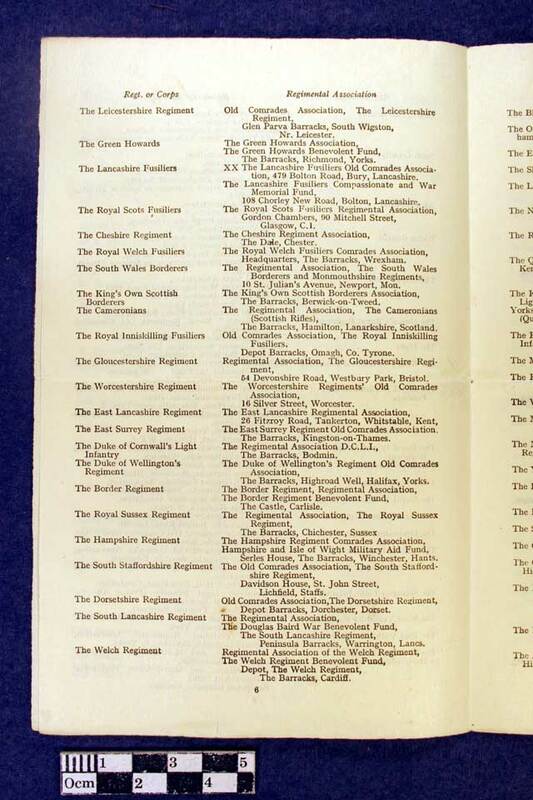 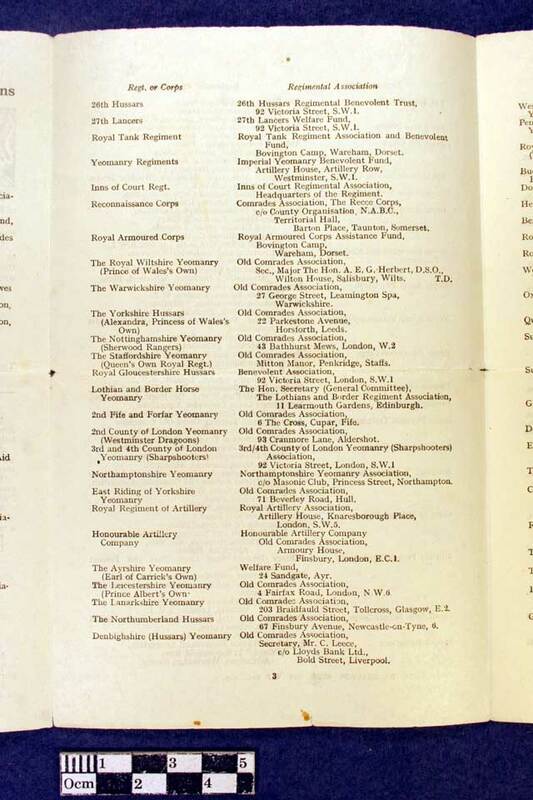 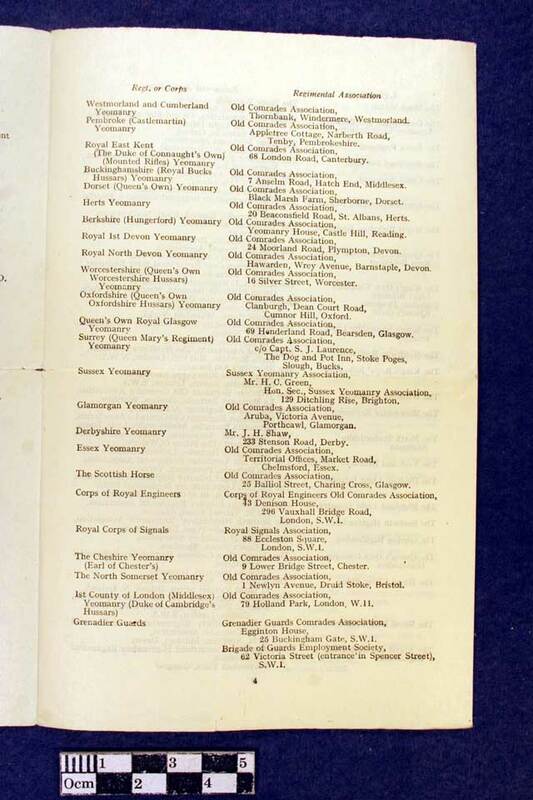 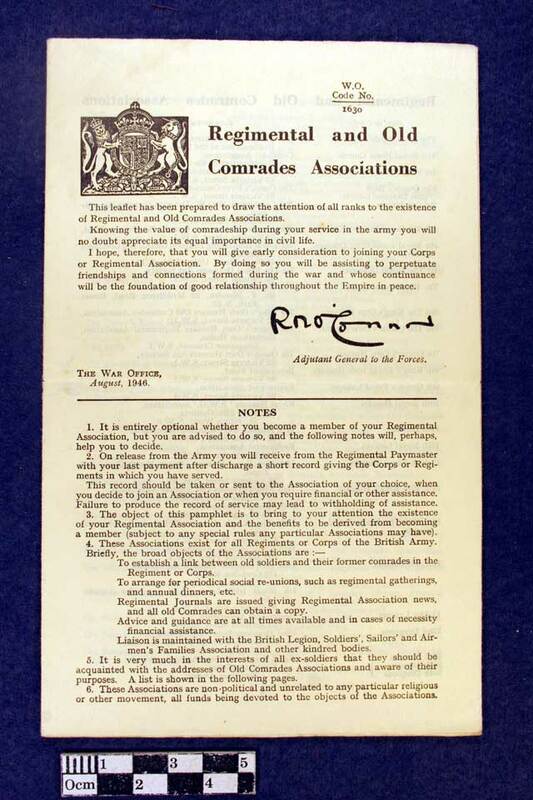 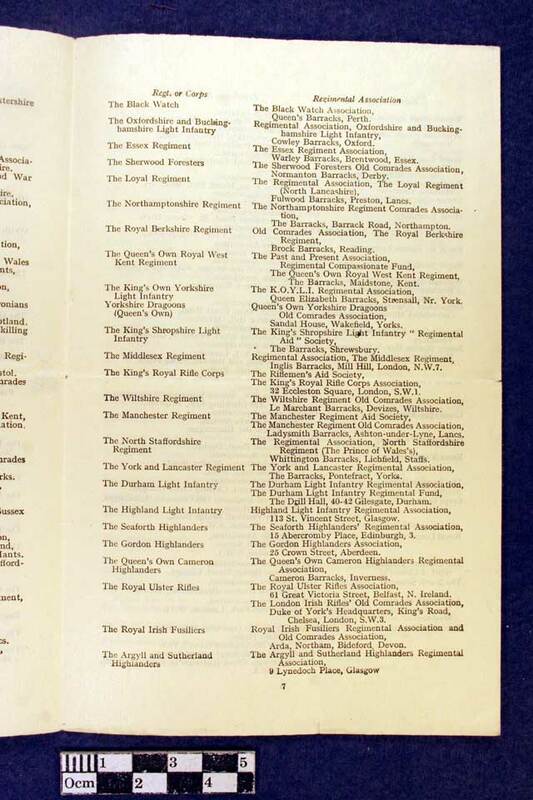 Showing General Service Corps 29 Jun 1944 to 9 Aug 1944 and King’s Own Royal Regiment from 10 Aug 1944 to 20 Feb 1947. 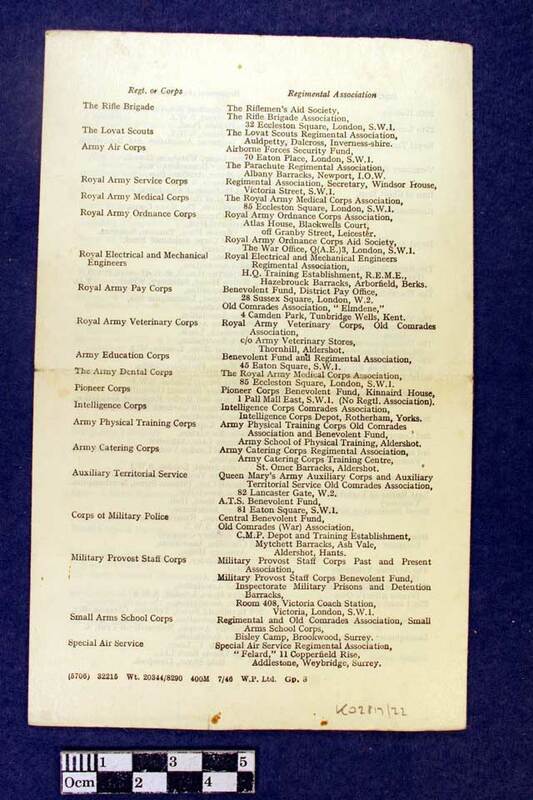 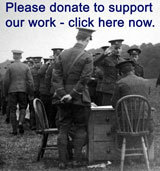 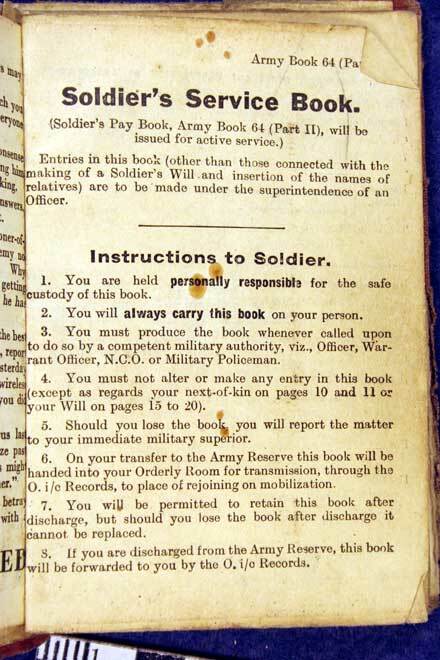 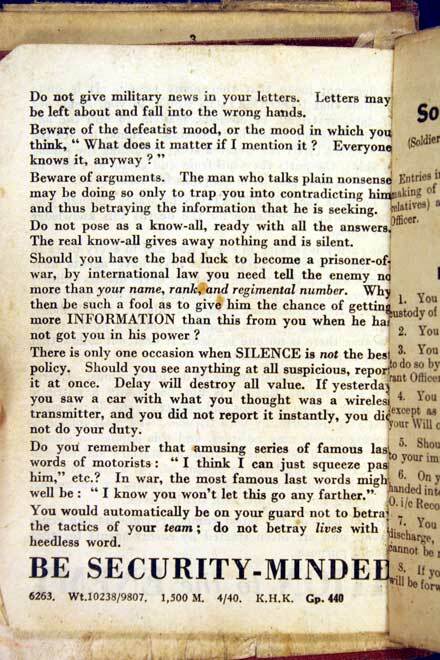 Army Form B 2070 – Campaign Stars form of application for army service. 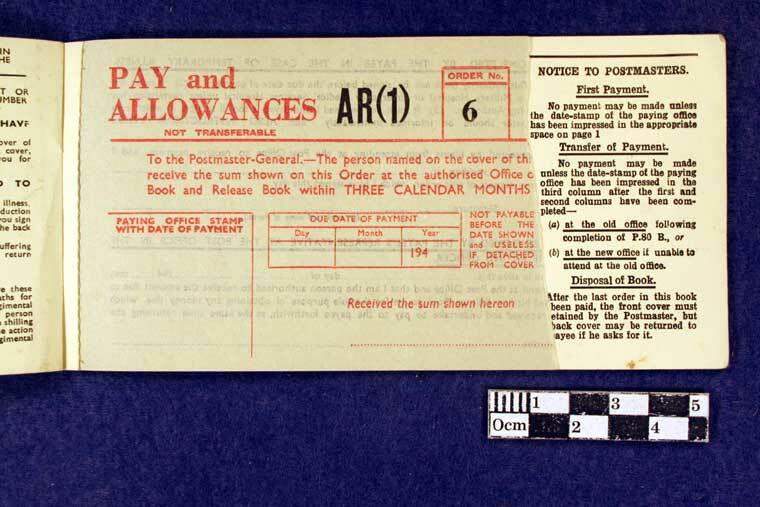 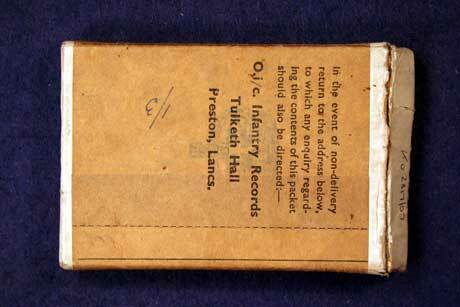 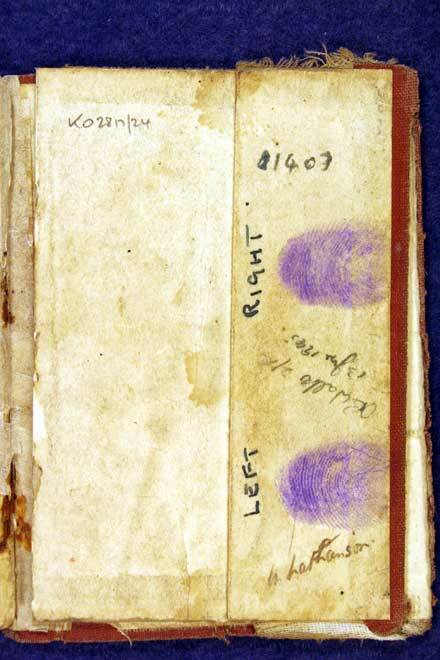 Dated 21 Feb 1947 and not completed. 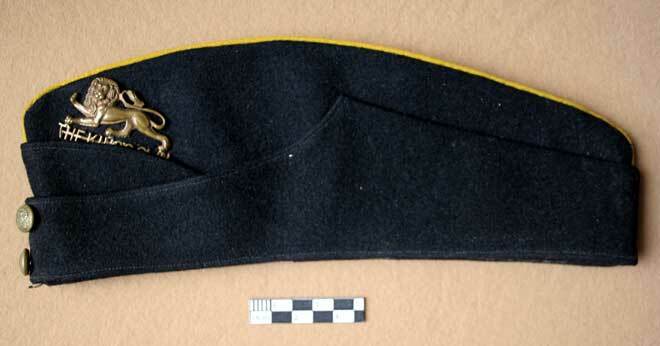 Fabric pouch, possibly for the storage of a side cap. 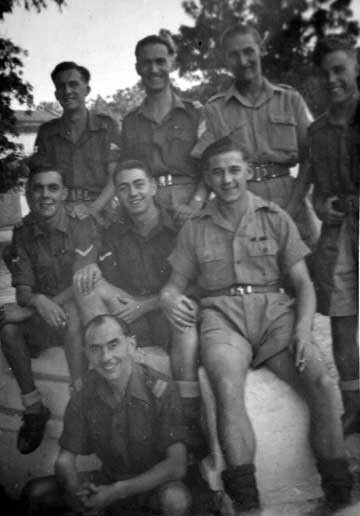 Corporal Monty Nathanson, 2nd Battalion, King's Own Royal Regiment, circa 1946. 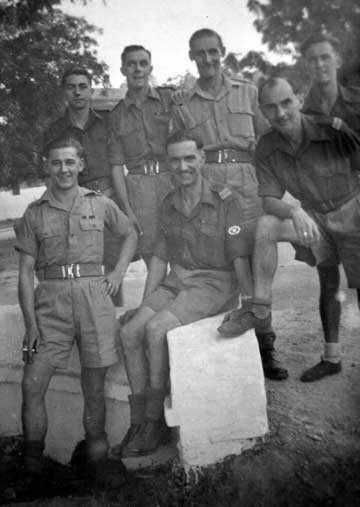 Corporal Monty Nathanson on the left. 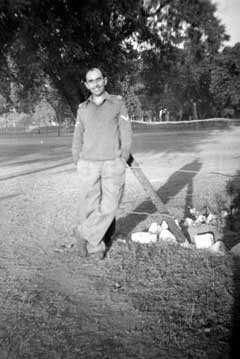 Corporal Monty Nathanson, Simla, India, June 1946. 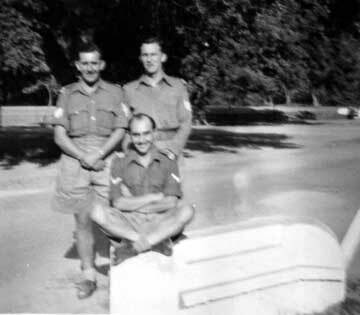 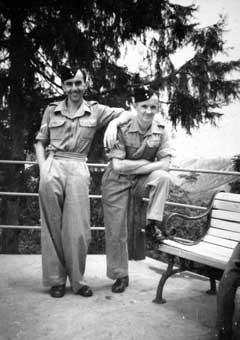 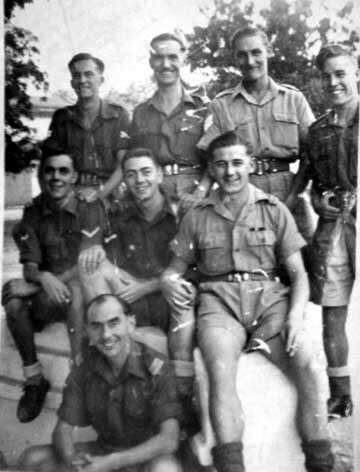 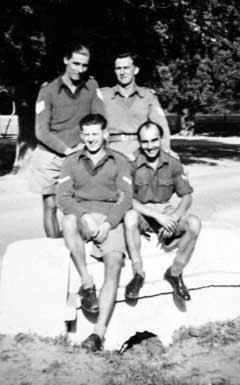 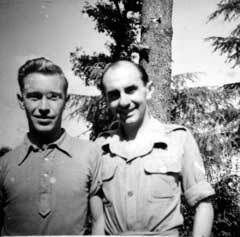 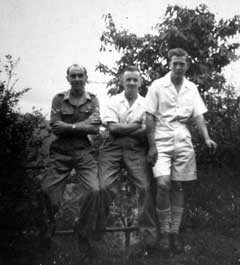 Corporal Monty Nathanson, on the left, Simla, India, June 1946. 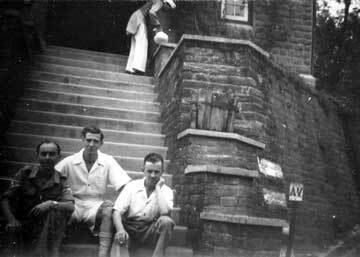 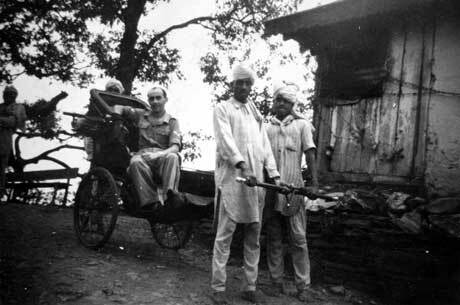 Steps of local post office, Simla, India, June 1946. 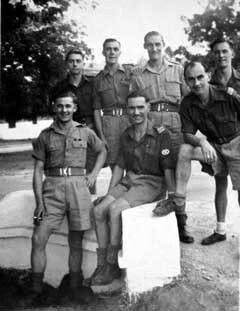 Group of the 2nd Battalion, King's Own Royal Regiment, India, 20th July 1945. 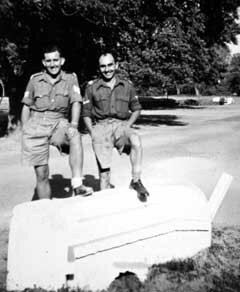 Corporal Monty Nathanson on the right. 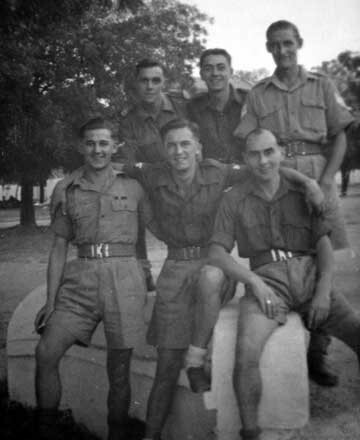 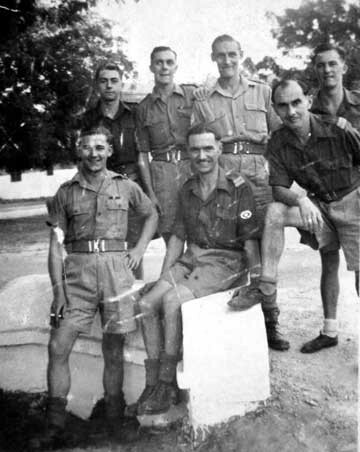 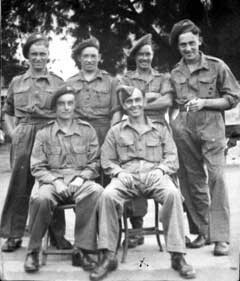 Group of 2nd Battalion, King's Own Royal Regiment, India circa 1945. 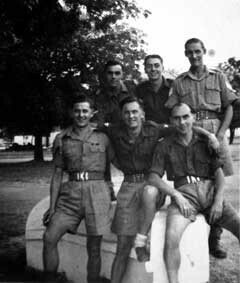 Group of 2nd Battalion, King's Own Royal Regiment, Cawnpore, India 4th December 1945. 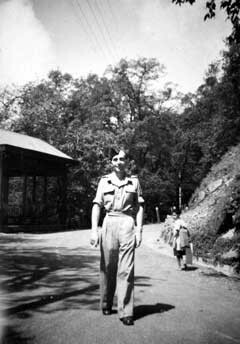 Corporal Monty Nathanson, 2nd Battalion, King's Own Royal Regiment, Simla, India, June 1946.